Increased sales volumes in all business lines. Group revenue stable at €3.6 billion. Operating income rose by 8% to €601 million. Improvement of margins in all business lines. Significant improvement of free cash flow; net debt reduced to €5.9 billion. Positive outlook for global economy; geopolitical and macroeconomic risks remain. 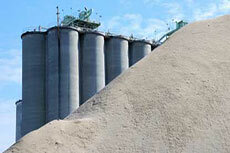 Expected increase in sales volumes of cement, aggregates, and ready-mixed concrete. Moderate rise in revenue and high single to double digit increase in operating income and profit for the financial year. Conclusion of the Italcementi takeover in the second half of 2016. HeidelbergCement is well positioned to benefit from the recovery in mature markets, particularly in the USA, Germany, Northern Europe, and Australia. 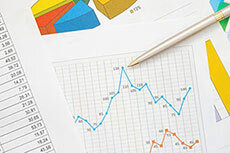 In the second quarter, sales volumes increased in all business lines. The positive market environment, particularly in Europe, the USA, and Australia, made a significant contribution to this growth. The Group’s cement and clinker sales volumes rose by 1.6% to 22.3 million tonnes (previous year: 21.9) in the second quarter. The strongest increase was achieved in the Northern and Eastern Europe-Central Asia Group area, followed by Western and Southern Europe. Northern Europe recorded double-digit growth in sales volumes on account of the sustained high level of construction activity in Sweden and a better than expected development in Norway. Cement sales in Eastern Europe rose almost everywhere. In Western and Southern Europe, cement sales volumes increased in Germany, the Netherlands, and the United Kingdom, in some cases significantly. In contrast, cement sales volumes fell in the Asia-Pacific Group area due to the delayed start to infrastructural projects in our core markets in Indonesia. Deliveries of aggregates increased by 2.9% (adjusted for consolidation effects 1.2%) to 69.1 million t (previous year: 67.1). 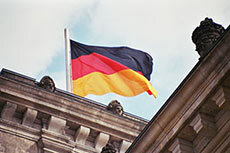 Higher sales volumes, particularly in Australia, the USA, and Germany, contributed to this development. Deliveries of ready-mixed concrete rose by 4.2% to 10.0 million cubic metres (previous year: 9.6), while deliveries of asphalt increased by 4.2% to 2.6 million t (previous year: 2.5). In the first half of 2016, cement and clinker sales volumes rose by 2.9% to 39.9 million t (previous year: 38.8). Deliveries of aggregates climbed by 4.4% to 118.4 million t (previous year: 113.4) and deliveries of ready-mixed concrete rose by 2.9% to 17.9 million cubic metres (previous year: 17.4). Asphalt sales volumes fell by 2.0% to 4.0 million t (previous year: 4.0). The meeting took place on 4 May 2016, at the Kongresshaus Stadthalle Heidelberg, Germany. 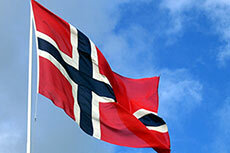 HeidelbergCement’s Norwegian subsidiary Norcem and Acciona Ghella JV have signed an agreement.